Come on out for a fun-filled magic show for the holidays starring magician and entertainer Michael Bonacci who has over forty years experience as an entertainer. This show will be very family oriented with lots of audience participation and will last about an hour. 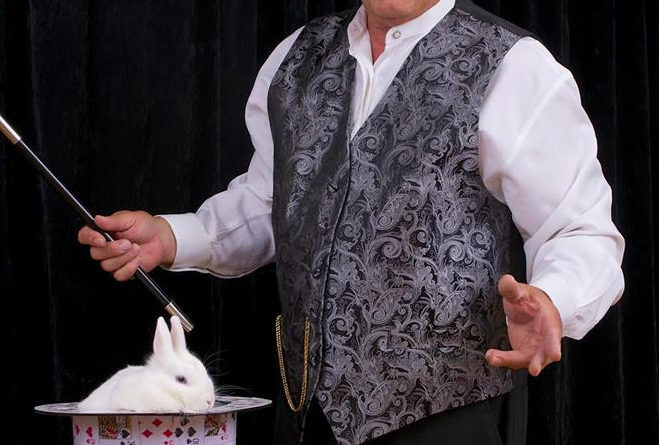 Michael Bonacci is skilled in all areas of magic: close-up, strolling magic and stage magic using animals, comedy and illusions. 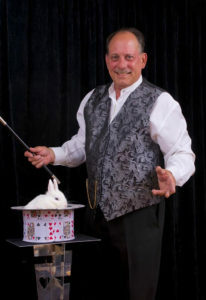 He has studied magic at the Chavez College of Magic, Hollywood, CA and theater at the Walnut Street Theatre, Philadelphia, PA and theater at Montgomery County Community College, Blue Bell, PA.
Children 2 and under: FREE!